Phoolmaya was born in the early 1970s in the Terai region of southern Nepal. Her young mother abandoned her while she was an infant, followed by her father also leaving to pursue a life outside of the responsibilities of being a parent. She was left with and raised by her grandparents, both of whom she experienced a deeply loving relationship with. A few years after relocating from the Terai to Kathmandu at the age of 11, Phoolmaya’s grandparents passed away, and she was left in the care of an aunt, until she was married at the age of 19. Uneducated and illiterate, Phoolmaya moved with her husband to the rural village of Dandatateri in Sindhupalchok, where the two of them shared a single room home as well as a plot of land. 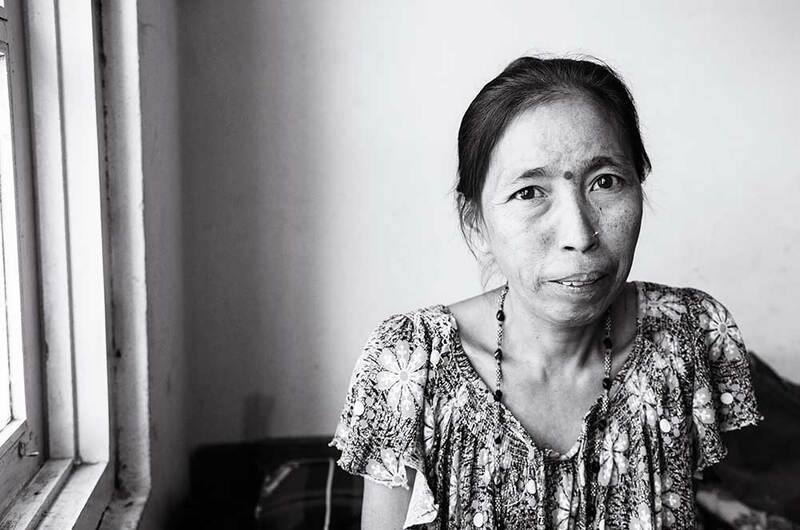 Phoolmaya’s marriage proved to be the cause of many hardships, as her husband, who was a construction contractor, fell into the world of addiction. Amidst the years in which she birthed four children, alcohol was a constant in her husband’s life. As he became immersed in the ways of drinking and gambling, Phoolmaya worked to keep their children’s needs met by doing local labor, filtering sand for plaster, moving loads of stones and cleaning stoves on the side. Throughout the years, Phoolmaya suffered both verbal and physical abuse at the hands of her husband until, when her third child was four years old, he was convicted and sent to prison for money laundering. He remained in prison for the following 4 and a half years. Upon his release, Phoolmaya became pregnant with their fourth and youngest child. A few years later, without consulting her, Phoolmaya’s husband sold their plot of land for 7 lakhs. He spent the money within a matter of months, leaving the family destitute but for the money she earned working labor. 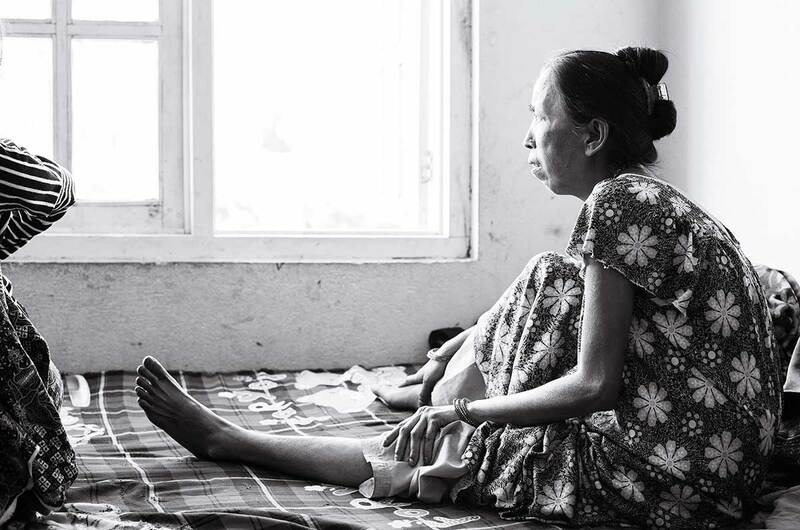 In a state of desperately wanting to better the circumstances for her three oldest children, Phoolmaya sent two of them to Kathmandu, where her oldest son found work and her oldest daughter, a teenager at the time, took on duties as a domestic worker sewing and cleaning for a family. Finally, through Phoolmaya’s efforts in approaching multiple homes seeking domestic work, she was introduced to a local aid organization through which her two oldest daughters were successfully sponsored to attend boarding school and receive a quality education, as well as the necessities of physical care and nourishment. 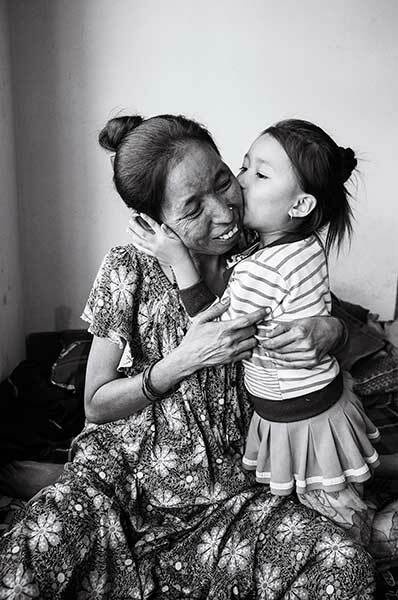 Phoolmaya remained in the village with her youngest daughter, who was not yet of age to attend school. In April of 2015, Phoolmaya was one of the many people in Nepal who directly experienced the devastation of the 7.6 magnitude earthquake. She and her daughter, five years old at the time, were inside of the house when the earth shook and the house began to collapse around them. Escaping the house with their lives intact, a wall of the house came down upon Phoolmaya’s leg, crushing her knee and leaving her unable to return to any kind of labor work moving forward. 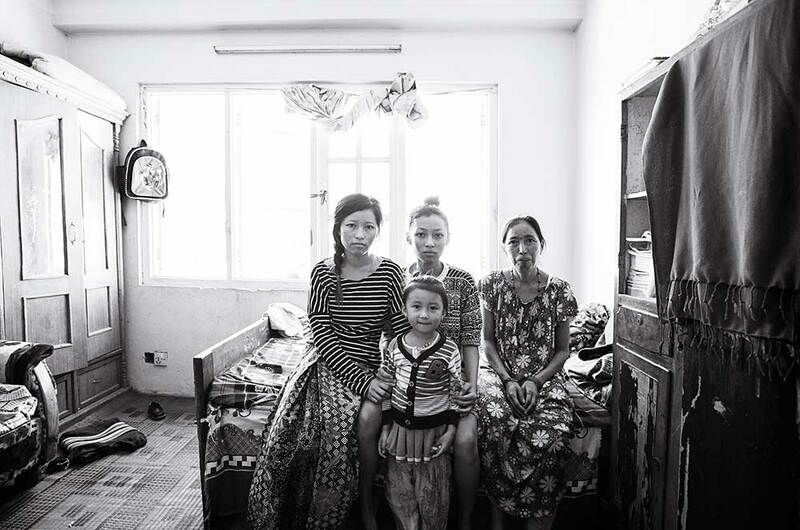 Their family home destroyed and her husband’s whereabouts after the earthquake unknown, Phoolmaya returned with her daughter to Kathmandu to join her other three children, now aged 21, 20 and 14. The five of them are currently living in a single room apartment. While her 20 year old son has a labor job in iron work, the family continues to struggle economically, having nearly been evicted onto the street more than once due to their inability to make rent payments. Through the efforts of Phoolmaya’s eldest daughter seeking help, their basic needs including rent and groceries are currently being met through the donations of international friends who have offered to temporarily assist them until their economic situation improves. Her daughter is currently in the process of pursuing work overseas as a housekeeper or factory worker in order to support the family. Phoolmaya’s husband has recently been located in Kathmandu. He has expressed no interest in reconnecting with or supporting their family, and has made verbal threats against Phoolmaya’s physical wellbeing should they see one another again. When asked what her wishes for the future are, Phoolmaya responds simply. She wants to live happily. She wants to be free from trouble, from the problems that she has experienced, and she wishes to be healthy. Most importantly, she wishes for the betterment of her family, for her children to live without the trouble she herself continues to experience. To see her children happy. To see her children succeed.